in front of a signboard. 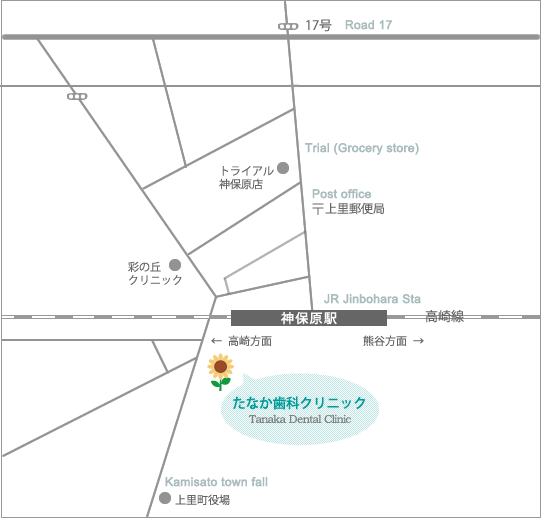 To cross the right bridge of the Jinbohara Station and get a south exit. The railroad crossing seen on the right and turn left.You will see the signboard. 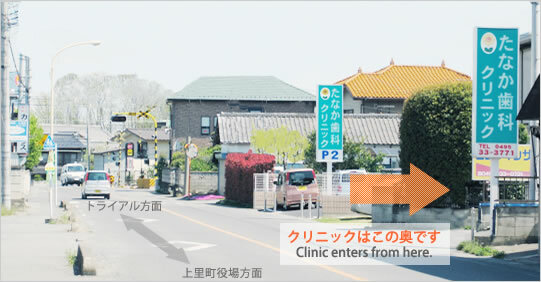 It takes about 3 minutes from the Jinbohara station to our office by walk. Copyright(C) 2013たなか歯科クリニック All Rights Reserved.